Veitongo claimed their third-consecutive Major League title on Saturday. 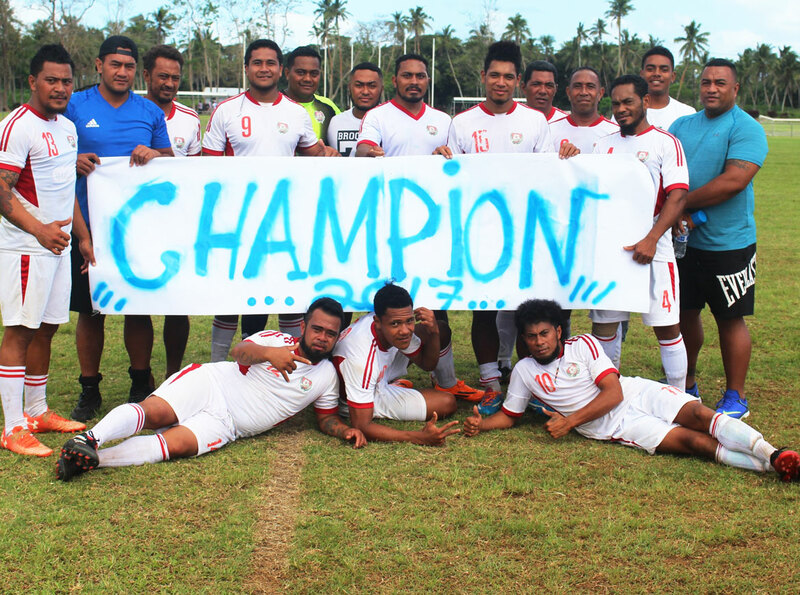 Veitongo have claimed their fourth Tonga Football Major League title since 2014 after beating Ha’amoko 3-0 in their final match of the season at the weekend. The victory means the side will make its third-straight appearance in the OFC Champions League Qualifier which will be held in American Samoa in January next year. Assistant coach Timote Moleni said the side plays a simple, but effective game in order to achieve their objectives on the field. “I want to thank our boys for their commitment and dedication in the final game, they played a simple game and I think that is why we won the final today,” he said. Moleni, who like team coach Kilifi Uele is also a player, was also pleased to get on the score board for his side. “Our first goal was from a penalty, which I took, and I’m excited that I scored a goal for my team,” Moleni enthused. Veitongo proved dominant from the outset, keeping their opponents tightly marked in an attempt to force the errors. The approach paid off in the 20th minute of the match when Veitongo was awarded a penalty which was taken by Moleni. In the second half an unfortunate own goal for a Ha’amoko defender saw that lead extended to 2-0 in the 50th minute before youth international Hemaloto Polovili added a third to the tally with a low drive that had the goalkeeper beaten. Ha’amoko coach Koliniasi Vakatapu said he was unsurprised to see Veitongo claim the Major League title once more. “I wish to congratulate Veitongo for successfully defending their title,” Vakatapu said. “They did well throughout the season and I’m sure they deserved to win. I’m also happy for my team even if we did not score a goal, they played well from the first minute until the final whistle.